I started writing this as the last elements of HI~Arts were being shut down around me, computers being wiped, permanent out of office notices put on email addresses. But I’m not going to write about that. I want to flag up just one aspect of our 23-year history—the online arts magazine Northings.com. It has been a perennial, and entirely justified, complaint that cultural activity in the north of Scotland doesn’t get the coverage it deserves in the national media. As newspaper budgets have shrunk, and local stringers have been cast off, that problem has, if anything, become more acute. Knowing that, I was also conscious of the transience of all such cultural activity, the lack of any permanent, public record of what happened, when, and what people thought of it. This had been forcibly brought home to me when I tried to find online any history of Glasgow’s Third Eye Centre, where I worked in the early 80s. One of the most significant cultural initiatives in Scotland in the last half century had virtually no online presence. Happily, that’s now being sorted, with a major research project under way to document all Third Eye’s archives, and those of its successor the CCA. So Northings had two main aims: to tell the rest of the world what was happening now, and to build up a long term record for future readers of what happened then. In ten years Northings posted over 1700 reviews of events from Shetland to Argyll and Benbecula to Moray, and over 700 features on artists and arts companies working in the Highlands and Islands. 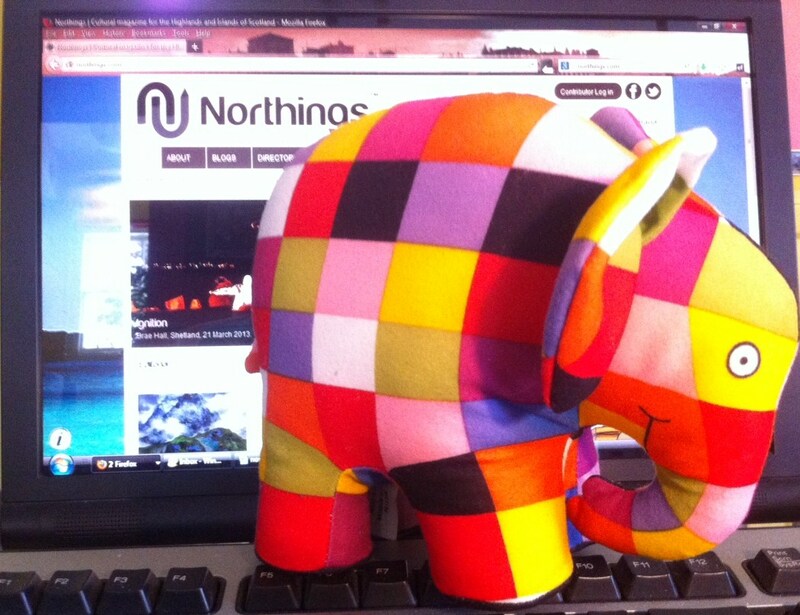 For a website with a contemporary focus, Northings.com was a defiantly old fashioned model. It was not ‘crowd-sourced’. It had the inestimable Kenny Mathieson as its editor for its entire ten year history, bringing a wealth of experience from the world of print arts journalism. All features and reviews were directly commissioned, and all the writers were paid a going rate for their work. Northings carried no advertising, so that there could be no suspicion of special pleading, although for a brief period we did flirt unsuccessfully with automated links to Amazon. So, Trip Advisor for the arts this wasn’t. And I believe that that was what gave it its strength and credibility. Don’t get me wrong, I have huge respect for the power and the collective intelligence of crowd-sourced judgements. I use Trip Advisor regularly, and am often swayed by ratings on Amazon (other online retailers are available). But, for our purposes, crowd-sourcing had two drawbacks. First, for many of the events involved, there simply wouldn’t be a big enough critical mass of individual opinions and, secondly, we wanted to build a recognisable credibility for our individual writers, so that their positive reviews could become calling cards and marketing tools for the fortunate recipients. Of course, that meant that the negative reviews carried a similar weight, a factor that dismayed some of our subjects! Hence the need for an experienced editor, who could guide writers new to the discipline, and apply the necessary (and often modest) subbing required. Hence also the avoidance of advertising—this was all about integrity and credibility. Above all, what Northings gave its writers and readers was space-space to describe, analyse and reflect on a performance or an exhibition in depth and in detail; space, where appropriate, to provide context. Writers like Georgina Coburn in Inverness, Ian Stephen in Lewis, and Morag MacInnes on Orkney had the space to devote, if they wanted, 1,000 words or more to a review that, in the national press, would have barely merited 200. Again, that’s counter-intuitive. After all, the Web is supposed to be all about sound bites and a lack of sustained attention. But perhaps that’s just another untested assumption. Technically, Northings is not a costly site, because being based on the estimable WordPress platform, it’s cheap to host and easy to use—our writers could use the ‘back end’ to post their reviews and features directly, leaving Kenny only to sub and approve them. The cost of course lay in the fees, to editor and writers. Nonetheless, the total budget was still less than that of a specialist publication such as the new writing journal Northwords Now. In its ‘tabloid’ format, free to pick up, Northwords Now produces 7,000 copies per edition, three times a year. Online Northings, by comparison, received around 6,000 unique visits for each of its monthly editions. So, as a means of disseminating knowledge, it was cost-effective. Northings still exists. As part of the process of winding up HI~Arts we paid for an additional year’s hosting, to March 2014. Its huge archive of reviews and features, a unique picture of a decade’s cultural activity, will remain fully accessible and searchable throughout that period. So, if anyone out there has a vision for reviving Northings, in a way that will be faithful to its original concept, the gauntlet is thrown down—feel free to pick it up! 2017: a long overdue update to flag up the excellent news that the Northings Archive is hosted by High Life Highland and fully accessible at http://northings.com . Huge thanks to High Life Highland for making this possible! Whoever thought Geology could be cool? Last Sunday I was part of a large and enthusiastic audience gathered at Inverness’s Ironworks venue to hear Iain Stewart talk about ‘travels in lands that don’t exist’ as a highlight of this year’s Inverness Monster Science Festival. Now, the city’s premier music venue might have seemed an unlikely location for a lecture on the history of the planet but then, as anyone knows who’s seen his many BBC series, Professor Iain Stewart is no ordinary geologist. You could describe him as Indiana Jones without the hat but with an East Kilbride accent, but that underplays his ability to be a really clear and stimulating communicator. I think I’ve seen just about every programme he’s made for the BBC in the last ten years (I have a very good friend who’s a geologist and the enthusiasm has rubbed off), so I was keen to see what he’d be like in person. At first I was a little disappointed, as he interspersed his talk with a number of clips from his current TV series, Rise of the Continents, which I’ve been watching anyway, but it soon became clear that this was just the set up for what turned into a 45 minute-long Q and A that was as wide-ranging, thought-provoking and entertaining as you could possibly wish. Altogether, a consummate performance. Nor was this a conventional lecture setting. The audience was seated at round tables, café style, and the play-in music was decidedly related to the venue’s normal programme and clientele. Mind you, they missed the opportunity to play Queen’s We will rock you, or perhaps Diamonds are Forever. But then, on the other hand, I don’t imagine many geology lectures have a bar available. Afterwards, I began thinking about the different appeals, today, of the arts and the sciences. If a similarly high profile TV presenter on the arts—say Andrew Graham Dixon, or Brian Sewell—had been programmed, I expect the audience would have been of much the same size, and perhaps even as keen, but I doubt if there would have been anyone present under 40. And this broad appeal of the sciences is not just down to the universal interest in dinosaurs. I suspect that if the guest had been Jim Al Khalili on physics, or Marcus du Sautoy on maths, the audience would have been almost as diverse in age range, and that’s without even mentioning Brian Cox. So it looks as if the sciences have got their act together in introducing people of all ages to what are often abstruse subjects (tectonic plates, magma plumes, continental subduction) in an accessible way, that just isn’t true to the same extent for the arts. Which is ironic, as the ancestor and template for all such hour-long documentary programmes, whether in science, history, or the arts, is Kenneth Clark’s majestic 1969 series Civilisation. That was the first such documentary series to foreground the presenter so overtly, to have them actually speaking to camera in the locations they were discussing, rather than on voice-over, and to have the presenter start a sentence in one location and finish it in another, hundreds of miles away. And it, of course, was the brainchild of David Attenborough, during his time as Head of BBC 2, so it’s no surprise that he would then go on to adapt the model for his own Life on Earth, which changed forever how we view the natural world. I think there are a number of factors at play. First, these science presenters all actually do science—perhaps not always at the very highest level, but certainly as their day job. They’re not commenting from outside, which is almost always the case with arts presenters, who are usually journalists or writers when not on the box. 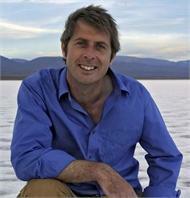 So an Iain Stewart, or a Steve Jones, or an Alice Roberts (for, thank goodness, they’re not all male) brings a personal passion and an insider’s view to their subject—something that is very evident, for example, in the conversations Jim Al Khalili leads in his excellent radio series The Life Scientific. And then, so many arts documentaries seem stuck in a rut. Andrew Graham Dixon’s various series surveying the art history of different countries have barely moved on in format since Civilisation 45 years ago—indeed it could be argued that Lord Clark was a more diffident and self-effacing presence than some of his successors. By contrast, in his new series, and especially in his 2010 series Making Scotland’s Landscape, Iain Stewart uses every possible modern technological device to get across his points clearly—split screens in the case of the Scottish series, Sherlock style graphics in Rise of the Continents. There are, however, some encouraging straws in the wind for the arts. BBC4’s modest little series What do Artists do all Day allowed the artists to speak for themselves, with only the briefest off-camera prompts, and the results, at least in the case of the two I’ve seen, on Norman Ackroyd and Cornelia Parker, were little short of revelatory. But that’s on TV. What should we do closer to home? I’ve been giving a few talks on the arts recently to groups in the Inverness area. What I often find is that even those who are so actively interested in the arts as to join a dedicated group or society, still have a disconnect with ‘modern art’ that goes all the way back to a century ago, to the work of Duchamp and the other early Dadaists. The problem seems to be that, for such people, art itself has ceased to be what they expect it to be—it is rarely representational, often defies accepted canons of beauty, and seems to shun any display of craftsmanship or virtuosity. Yet there is surely a parallel here with the sciences, where in almost every discipline we have been increasingly asked, over the same century and more, to accept the apparently counter-intuitive and the downright mind-boggling: from natural selection to gene sampling, from splitting the atom to string theory and multiverses, from the realisation of the scale of our own galaxy to discovering that it is but one among millions of galaxies in the observable universe. Perhaps many of us, in this increasingly unstable perception of reality, therefore, turn to art for something that will provide reassurance, comfort, continuity. And instead we’re faced with Cubism, Abstraction, Conceptual and Performance Art, in short a world of ideas and languages that seems esoteric, hostile and excluding. It’s not so long ago that most of contemporary science would have seemed equally challenging and unappealing. But scientists themselves took the first steps to open up their world. Since the pioneering work of Carl Sagan, Stephen Jay Gould, and Jacob Bronowksi, among others, a host of scientists in all disciplines have made strenuous and successful efforts to make their work more accessible. There are some honourable examples in the arts, too—notably David Hockney and Grayson Perry–but they are still too few. 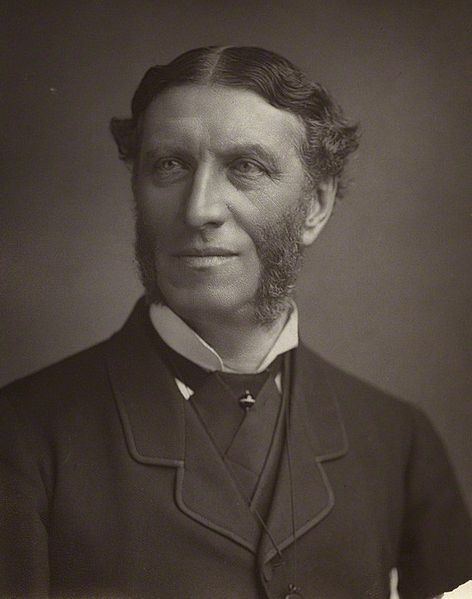 I’m writing, here, about science in a cultural blog because, unlike Matthew Arnold, I believe that science is an integral element of our culture. But I equally think that artistic practice is integral to our understanding of ourselves, and we are the poorer if we ignore what contemporary artists are doing, for lack of appropriate ambassadors. I give you two great houses. Both were designed and built in the 1880s and 90s. Both are the expression of one man’s extraordinary vision. Both embody a rich and complex symbolic plan, displayed through a combination of the richest materials and the highest quality of craftsmanship. Both combine an acute historicist awareness of past architectural styles with the most modern technologies. Both houses are overwhelming works of art of a remarkable consistency and unity, and both enchant the visitor as if they had stepped into a fairytale fantasy. But that’s where the resemblances end. One house, the Palau Guell is located in the centre of the tourist magnet that is Barcelona, and is world famous as the first mature work of one of the most acclaimed architects of all time, Antoni Gaudi. 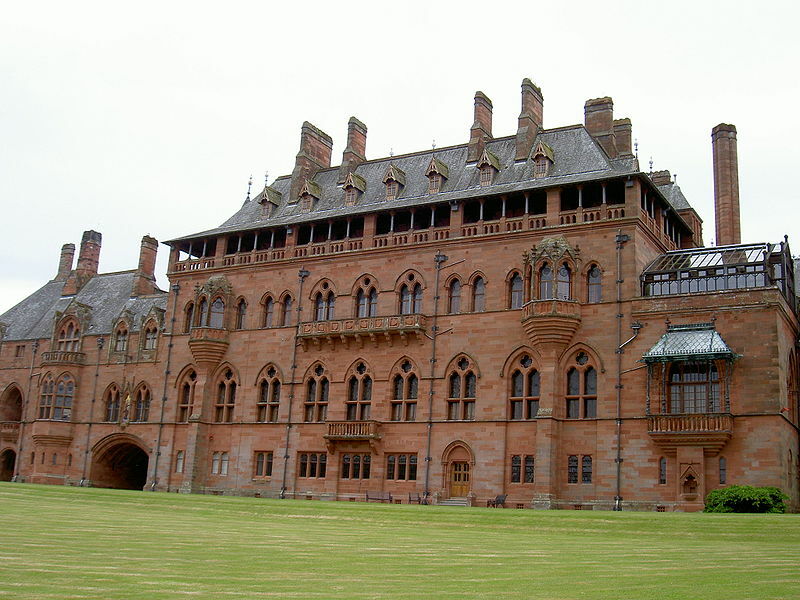 The other, Mount Stuart is at the heart of a large country estate on the island of Bute in the Firth of Clyde. I doubt if even most of Mount Stuart’s visitors could tell you the name of its architect, the atrociously under-celebrated Robert Rowand Anderson . I first visited the Palau Guell as long ago as 1998, and I have vivid memories of the literally dazzling journey involved in moving from the subterranean entrance to the astonishing forest of tiled chimneys on the roof. Shamefully, I only made it to Mount Stuart for the first time last week, though my excuse is that all my previous visits to Bute had been out of season! I knew, of course, all about Mount Stuart, and the passionate personal vision of the 3rd Marquis of Bute which found expression not only here but also in the restoration of Falkland Palace, and in Cardiff Castle and Castell Coch in Wales. And I also happened to know something of the work of Rowand Anderson, because many years ago I helped to mount an exhibition on the Victorian architecture of St Andrews, where one of his earlier works is the confusingly named St Andrew’s Church . But none of that prior knowledge prepared me for the immersive sensual and intellectual experience that is Mount Stuart. I suppose, naively, I had expected something that would be entertaining in a rather kitsch way, like a less excessive version of Mad Ludwig’s Neuschwanstein. Well, if you were a passionate advocate of Modernism’s rejection of ornament, that might be your reaction, as it would be hard to imagine an interior with more decoration. But, as the late Kenny Everett would say, it is all done ‘in the best possible taste’ . The nearest comparison I’ve seen in Scotland is Patrick Allan Fraser’s eccentric masterpiece, Hospitalfield, near Arbroath, but that wonderful building had not yet escaped from a mid-Victorian aesthetic, and so, to contemporary eyes, it does lean to the kitsch end of the spectrum. Just as Gaudi’s Palau Guell is an early expression of what would become the international style of Art Nouveau, so Mount Stuart, for all the dazzling richness of its materials, is infused with the new aesthetic of the Arts and Crafts Movement. Its nearest comparator would be Norman Shaw’s Cragside in Northumberland, built about the same time and, like Mount Stuart, blending a melange of historical styles with innovative technology. That means that both Cragside and Mount Stuart, despite the immense grandeur of their public spaces, still feel like comfortable homes. All the guest bedrooms at Mount Stuart, for example, have en suite bathrooms. I described both Palau Guell and Mount Stuart as being the results of one man’s vision, but it would be truer to say that they were the outcomes of a fruitful relationship between architect and patron, save that in Mount Stuart the direction of the relationship was reversed, with Rowand Anderson striving to realise the intensely spiritual concepts of John Crichton-Stuart, 3rd Marquis of Bute, who was so passionate a convert to Catholicism that he chose to be painted and photographed dressed as a monk . Nonetheless, you couldn’t mistake Mount Stuart for the work of any other architect. 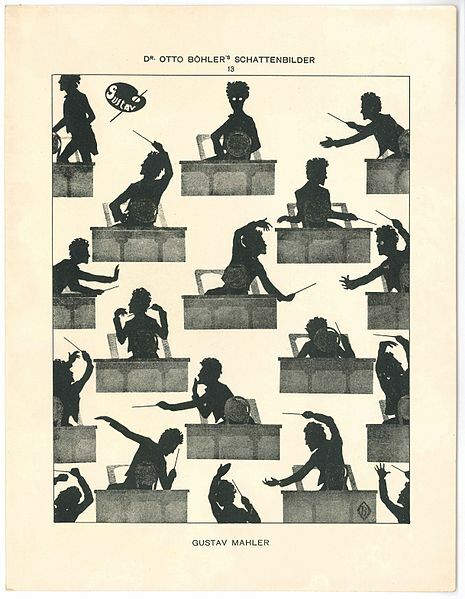 Which leads me to wonder why we don’t celebrate Rowand Anderson more enthusiastically. First of all, he was responsible for some of the most prominent buildings in Glasgow and Edinburgh—Central Station Hotel and Govan’s Pearce Institute in Glasgow, and in Edinburgh the Scottish National Portrait Gallery, the McEwan Hall, and the Mansefield Traquair Centre. He was also responsible for a huge amount of sensitive historical restoration, at Jedburgh and Paisley Abbeys, Dunblane Cathedral, and Balmoral Castle (the last earning him a knighthood). Perhaps the problem is that we have little or no opportunity to see his work as a totality. Once you consider all the above buildings, a strong, even idiosyncratic personal style emerges that, for me, makes him possibly Scotland’s most interesting and individual architect between Alexander ‘Greek’ Thomson and Charles Rennie Mackintosh. And there, of course, in mentioning the ‘Mackintosh’ word I’ve found the explanation for his neglect. It’s as if we only have room in our concept of national identity for ‘one of each’. So Burns is our national bard, and overshadows not only his own exceptional contemporary, Robert Fergusson, but also a host of predecessors and successors. Sir Walter Scott eclipses James Hogg, whose psychologically insightful writings are much more relevant to our modern interests. Even today the understandable fame of John Bellany in painting, Ian Rankin in crimewriting, or James MacMillan in music, leaves too many of their equally gifted contemporaries in the shade. Perhaps this is inevitable in ‘small’ countries. I imagine Norwegians are equally tired of having their culture identified only through Ibsen and Grieg, as the Finns are probably sick of Sibelius and the Kalevala. But it’s an aspect of the ‘cultural cringe’ that I don’t think gets discussed enough. And it has real impacts. Mount Stuart is, to use a crude term, a world class visitor attraction, and it should be as well known as Gaudi’s masterpieces, and if Rowand Anderson is hardly, in the totality of his work, Gaudi’s equal, he still deserves to be far better known than he is. That sort of fame translates directly into visitor numbers and visitor spend. Yet time after time, from our national tourism agency, to the popular vote for the images on new bank notes (Burns and Nessie), we choose the easy option, and fail to present the true richness and variety of Scottish culture, which of course makes it too easy for sceptics and hostile commentators to deny that such richness exists. So, do yourself a favour, if you’ve not yet been to Mount Stuart, go soon, go this summer, you won’t regret it. And I haven’t even mentioned the superb gardens, the stunning new Visitor Centre, or the ambitious programme of annual artists’ residencies. Let alone all the other delights of Bute. And all just a short trip from Glasgow.